Are you digging the new port-less, button-less, hole-less phones concept? Yesterday, we asked you whether you like the monolithic concept of phones with a bare minimum of openings - no audio or charging ports, no speaker or earpiece grills - and without any buttons on the side, and plenty of you said yes. As you can see from our poll results above, the button-less handset's time may have arrived, as a good chunk of our 1286 respondents seem to be yearning for something, anything, different than the established design wisdom. While those hole-less phones may not serve a much practical purpose just yet, and their creators are yet to slap a price or release date on them, or even finalize their specs, there is obvious potential in the idea which remains to see good execution. If you thought that 2019 will go by under the auspices of hole-in-display designs (cough, Galaxy S10, cough) or foldable phone, you are sorely mistaken. Actually, first there was the Vivo soap teaser, then came the revelation that Meizu will beat it to the punch with a phone that has no ports or buttons around it, and today came the Apex 2019. Call it what you will (Vivo calls it Super Unibody) but this design is spearheading 2019 as its first novelty (the punch-hole is so 2018) with the Meizu Zero and the Apex 2019. Both phones have no charging or audio ports, no large earpieces or speakers, and no physical buttons around them, achieving a design as monolithic as possible with today's technology. They manage it via the ingenious mashup of existing tech like wireless charging and audio streaming, sound-emitting displays, and touch- or pressure sensitivity for the ex-button duties. Vivo even equipped the new Apex with an all-screen reader that can scan your fingerprint almost anywhere on the display. This Holy Grail of fingerprint recognition is a bit clumsy still, as exemplified in the hands-on videos with the phone, but it is a great thing to come in mobile biometry nonetheless. 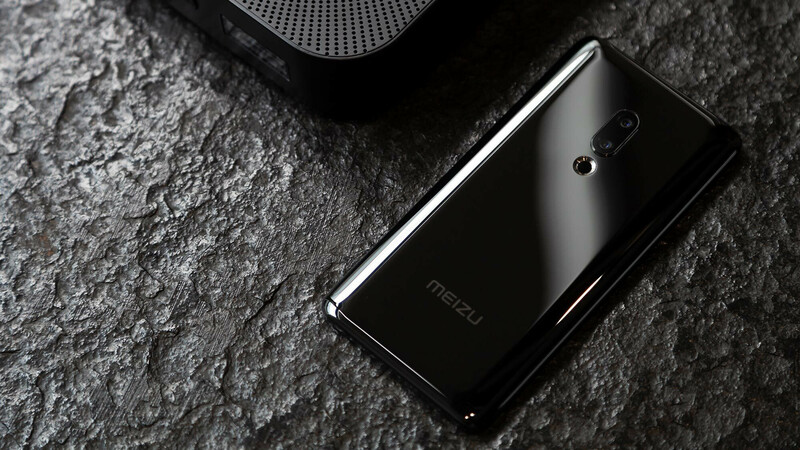 Still, to some this port-less phones concept might seem a bit of an overkill and design waxing for the sake of it, but the Meizu Zero and Apex 2019 seem to be on an intriguing path nonetheless. BRING THEM ON! Love these ideas. I'd take this over a folding phone anyday. so how am i supposed to transfer tens of gigs of data between phone and computer? The magnetic charger for the Vivo does data transfer too. it better be at USB 3.1 gen 2 speeds otherwise transferring files will take way to long. that makes no sense, it still needs to be read and written to the device. im assuming its slow since its a whole extra step. and moving a 100gb would take forever over wifi. Looks to be a good year for mobile. This has always been the end game, port less. Beautiful devices to arrive. Wireless everything is the future anyways. The vivo apex will be sold in some capacity by the middle of this year. Vivo love to release experimental and innovative phones. Best thing about their phones is that they have incredible build quality and don't break down. I have to use it first to gave it a opinion. However my judgement said the phone more like a novelty than practical use, because i see it has more cons than pros 1. Charging battery with magnetic connect great except it is not reliable because direct connection 2. Physical feel alway out weight smooth touch specially in low light. Just list a few, i dont see it will work with average people, time will tell. I appreciate new tech and where it has taken us, but I don't have a need for this or want it. I prefer options when it comes to charging (a port and wireless). Pushing the fingerprint tech into areas where we can't get away from it sounds very shady to me. Hopefully all OEM's don't go this route. It's an innovative concept for sure, but I really don't see the practical side of this implementation. Sure, when the tech catches up and we see these kinda phones everywhere, then we can talk, but until then, you still need to carry a proprietary cable (for the new Apex) if you want to transfer data. But cool concept though.